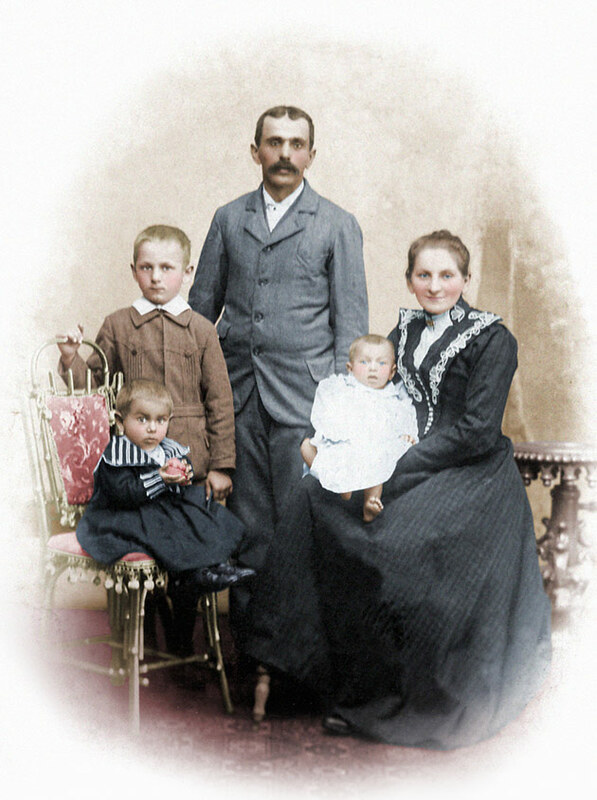 Another attempt in colorizing old pictures. 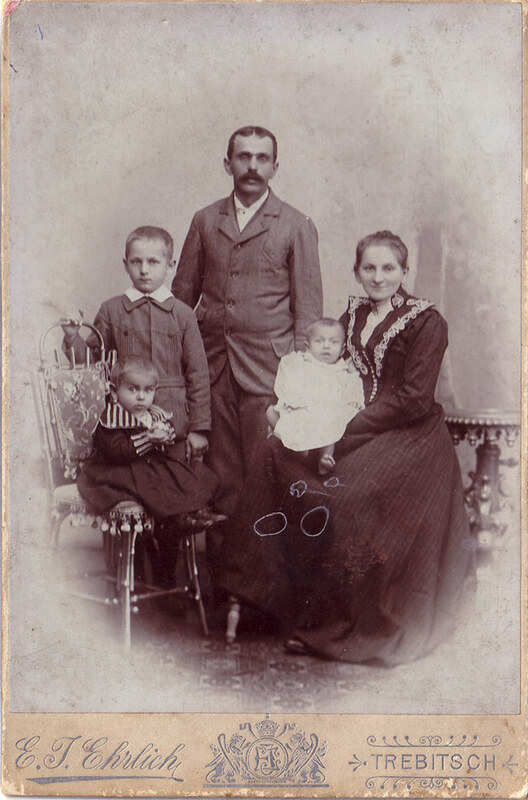 This time something more personal as this is a picture of my great-great-grandparents with their sons and daughter, somewhat around 1900 in the Czech Republic. 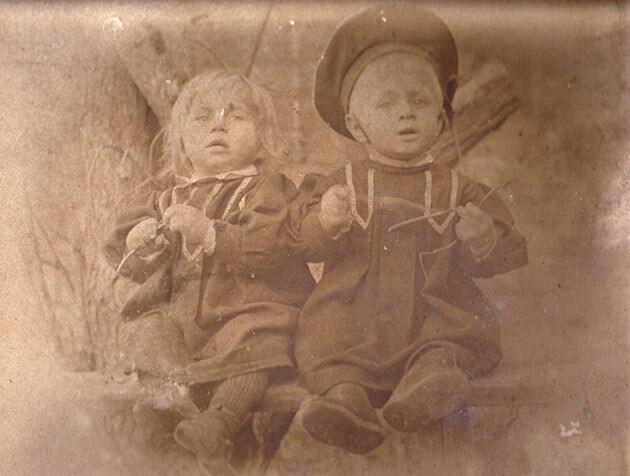 It’s one of the oldest photographs our family possesses and I always was especially fascinated by it. I don’t know this people at all, and yet I wouldn’t be here if it weren’t for them. 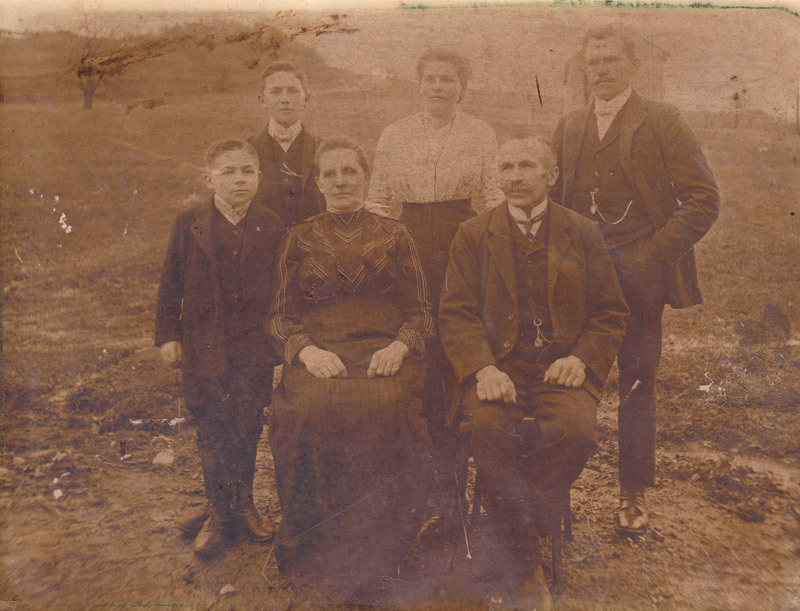 People who lived over a century ago in another country. Family. Okay, im officially hooked. 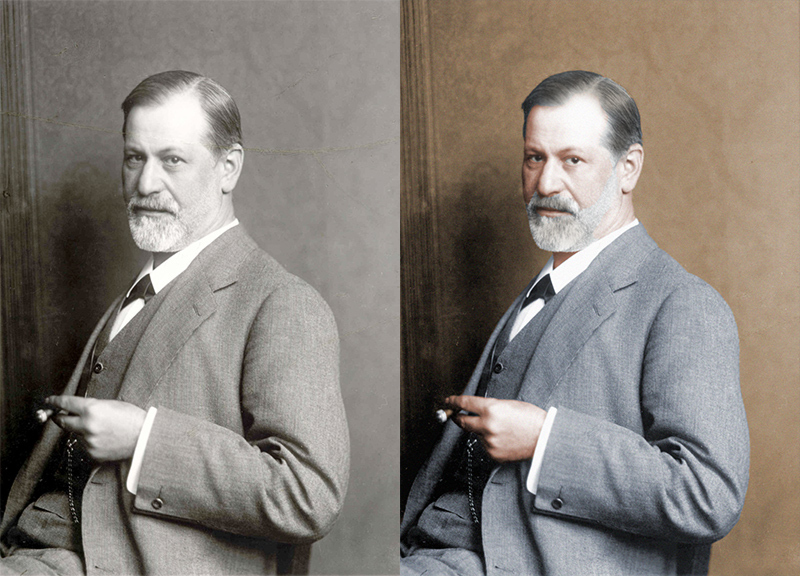 Here is another try – this time I’ve taken this popular picture of Sigmund Freud and recolored it. During puberty I had quite an intenisve Freud phase, reading everything about the father of psychoanalysis I could find. This fascination recently got refreshed watching the movie “A dangerous method”. 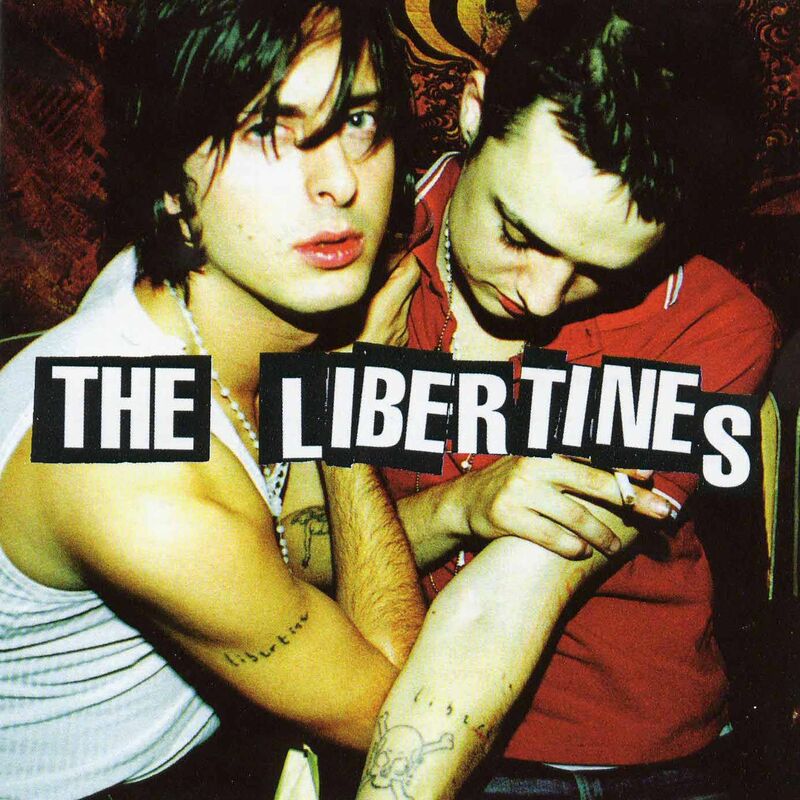 So here’s to him! 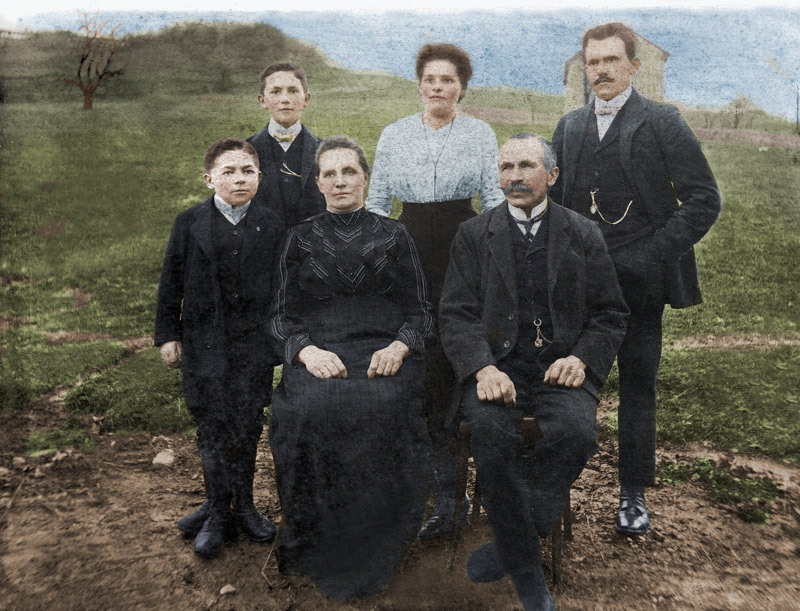 It’s not really a new thing around the web or the design community, but I recently started to look into colorisation of old photographs a little bit more. 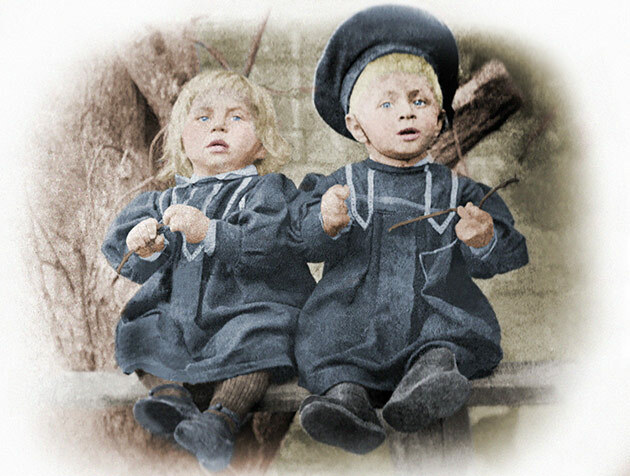 It really fascinates me, how old photographs suddenly look so much livelier and people seem much more real after (simplified spoken) adding some color. Black and white phtography has a thing to let people and places seem to be kind of withdrawn from the real world and like ghosts from a long time ago. And to turn this around and show their real faces has some kind of big magic in it. 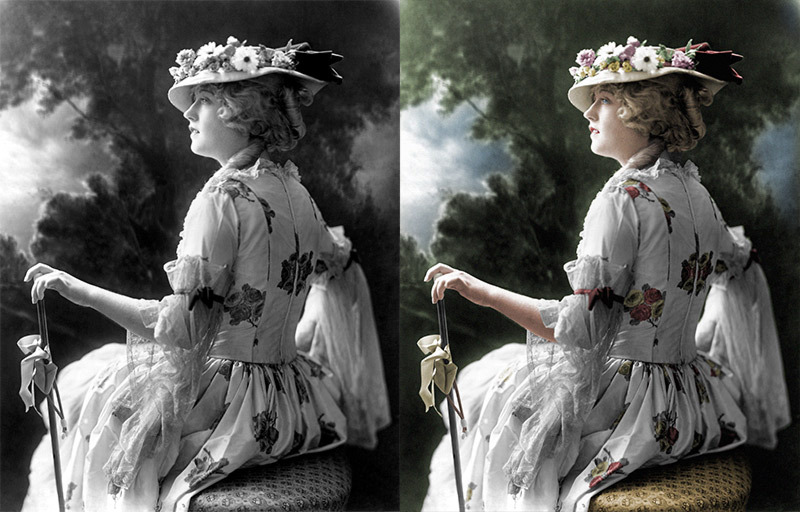 I made a first attempt and colorized this old photograph of a broadway actress taken from here. 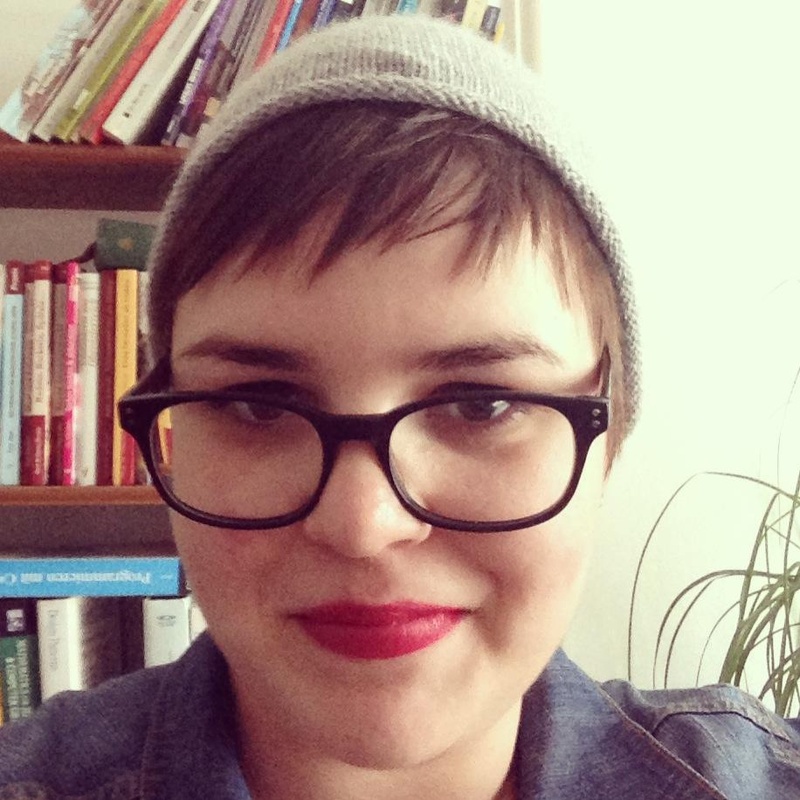 But you can find some really stunning examples by Sanna Dullaway around the web.